As I look forward toward the next Bike Virginia Tour, I feel a great sense of honor and responsibility in leading the organization as we celebrate 30 years of bicycling touring with our June 2017 event. I feel as though I am holding a special and precious gem in my hands, one that has been polished and crafted by the hearts and hands of many over thirty years. What began as a vision of one person, a small event, became something that is wonderfully big and multifaceted. Even in my 9 years with the organization I’ve seen a magical evolution. It is truly fun to study and transform the tour as our participant’s desires change and new opportunities present. I am excited to see how the years ahead add other facets and patina. In the last 30 years our tour has hosted 30,000 riders and visited nearly every corner and back road of the region. We covered what is an estimated 9,000,000 wheel miles, enough to pedal to the moon and back 19 times. It is amazingly special to think that every one of those miles is because someone chose to take part in this historical annual event. This gem that I am guardian of holds the spirit of all those miles, the smiles and joyful moments, hard earned accomplishments, happy discoveries, and leisurely respites that are the very core of this event. I feel privileged to be working with the team of people who truly cherish and pour their hearts into making every Bike Virginia ride something special and memorable for each and every participant. From volunteers to the board of directors of our organization, to the four staff that come together with me to dot the I’s and cross the T’s, this group of nearly 30 people put their everything into creating the magic that is Bike Virginia. When all the planning is done and the preparations are made we take a big breath and put on a smile because we know that magic is about to happen. That’s when things just begin to come alive. Riders just like you from far and near, riders of every age, shape, race, and religion, make the event truly sparkle and shine. The magic happens with everyone coming together, encouraging, laughing, talking, sharing, playing music, waving and smiling as you pedal by. It’s all in there, it’s all why we have 30 years to celebrate. 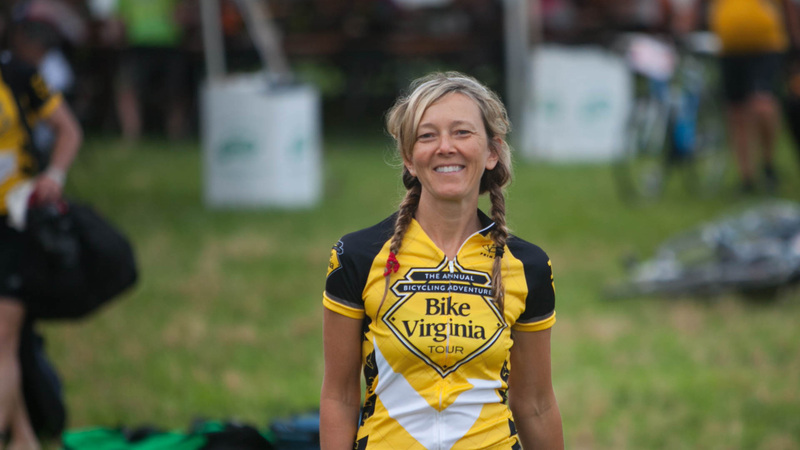 I hope you’ll join me and our Bike Virginia family in June for this very special year. I promise you’ll experience a little magic yourself.